The garage is an important space in homes today and it should receive just as much care and attention as the rest of the house. Whatever you use it for, there are simple and easy ways that you can keep updating your garage so that it looks as cared for as the rest of your home and so that it continues to work the way it should. We�ll start with the biggest upgrade possible. Though it can be pricey, the best investment you can make in your garage is to update your garage door for a brand new one. Adding more style to your home will add more curb appeal and make your home more valuable and look modern and stylish. By upgrading your entire garage and the garage door with some new insulation, you will save money on your energy bill all year long and keep your home�s temperature range more stable. An easy DIY way to instantly upgrade your garage is by making this the year that you get organized. Get everything off the floor and onto the walls and your garage will instantly look cleaner. Use large boxes to store things you don�t need every day and use racks for things like bikes and tools to keep the floor clear of clutter. If you have always wanted a mudroom for the rainier and colder seasons, then make this year you finally add it to your garage. By putting up panels and hooks for coats and gear, benches for sitting, and a storage space for shoes, you can take up a corner of the apartment for a super useful mudroom that you�ll appreciate all year long. Another quick way to make your garage look new is to add a touch of paint to bring some life to the space. And if you don�t want to take on painting the entire garage, then just take on the project of painting the door that leads into the house. Pick your favorite color and even paint on some designs and patterns for some instant personality in your garage. Our final suggestion for giving your garage the update it deserves involves the floors. A great way to revamp the space, you can cover up the cold and boring concrete floors with a wide variety of durable and modern surfaces. Make the new year a time for making old space new again. Updating and upgrading is a great investment in all every area of your home and we hope that you feel inspired by these tips. 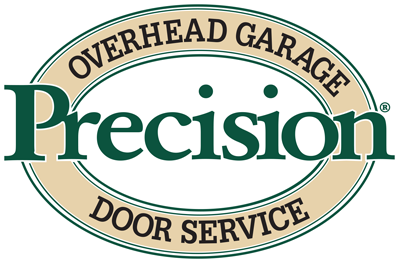 For any and all of your garage door needs, think of the experts at Precision Door and give us a call today! I was very pleased. If I need repairs in the future I will call you again!